Water has a calming effect for your yard and provides relief from summer heat. 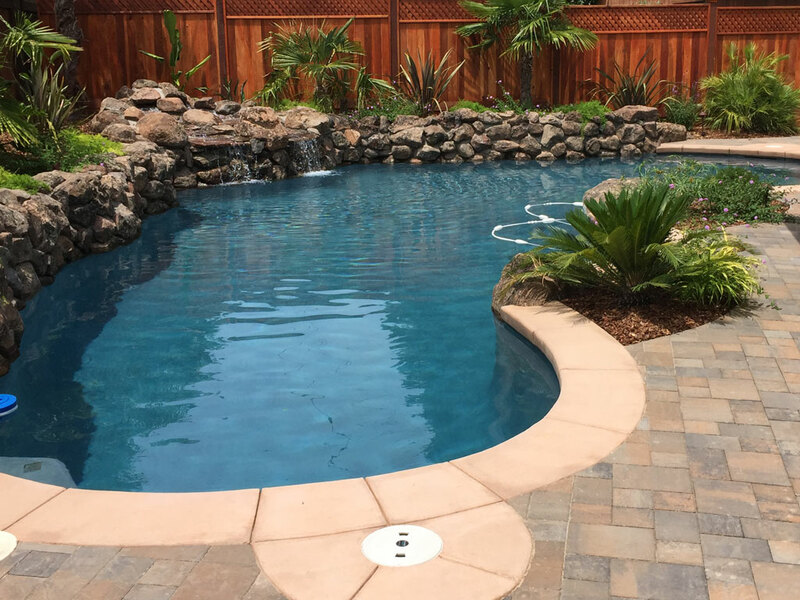 We can design a pool for you, or work with your contractor to create the perfect oasis. Ponds, waterfalls, and fountains add a special focal point and soothing sounds to enjoy. We are experienced in all aspects of water feature construction and maintenance. Decorative stone work adds a lovely accent to your landscape. 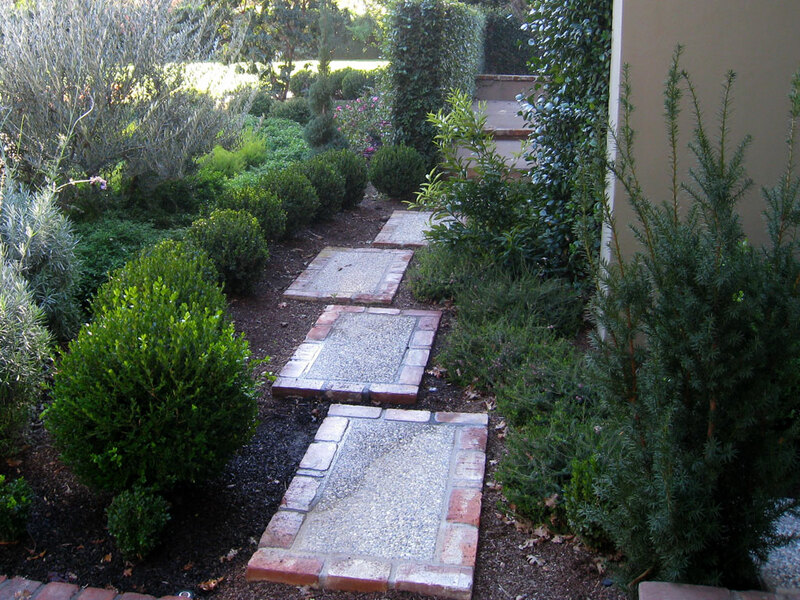 We are experienced in all forms of hardscaping from simple garden steps to complex patio layouts. Whether you want brick, tile, natural stone, or pavers, we will design and install the project to your specifications. 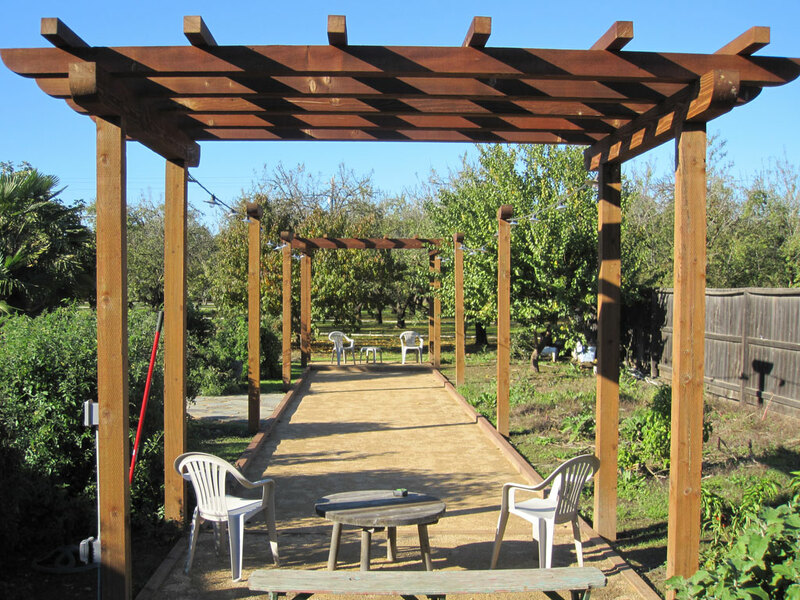 Defining space in your yard makes sense and sometimes it needs a little support. Whether it is decorative or functional, we can make it beautiful. 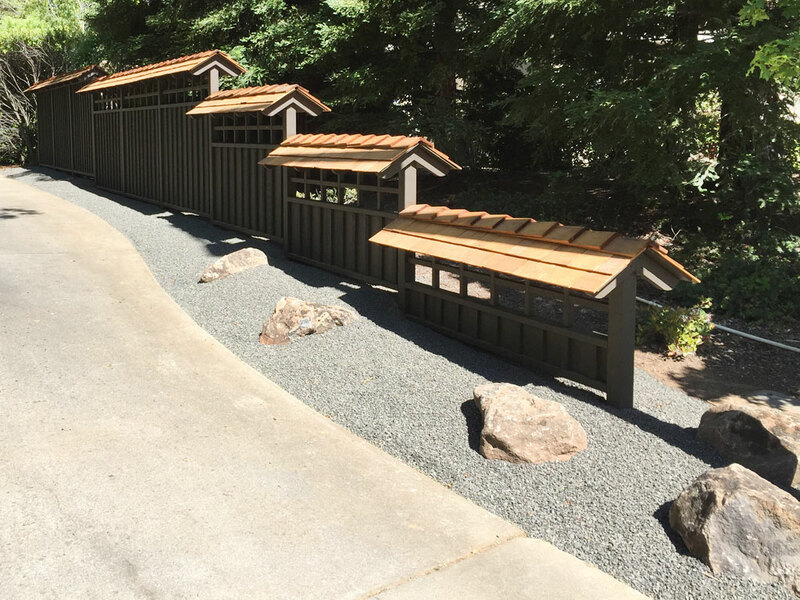 Our skilled installation team has experience with all materials – stone, wood, block, fiberglass, and metal. 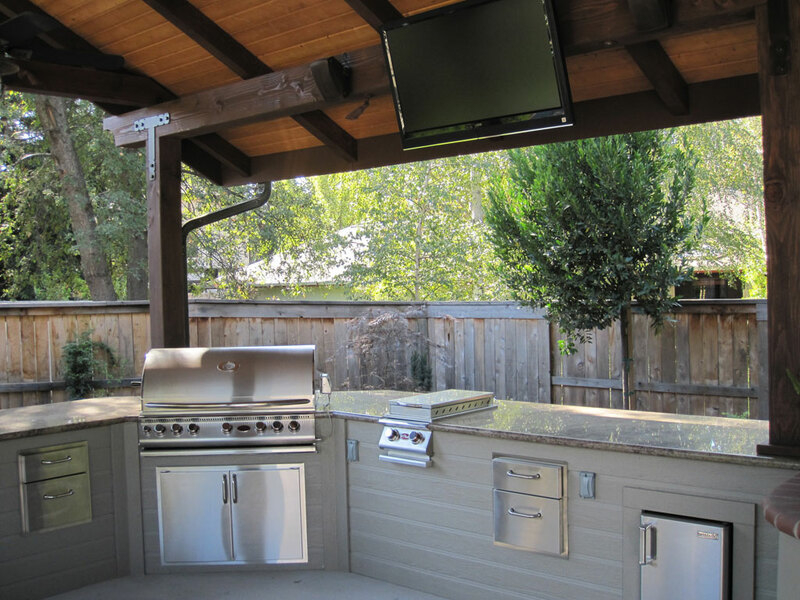 Do you like to entertain in your yard? If so, then a back yard kitchen is for you! Our experienced designer can create the perfect place for you and your guests to enjoy cooking and eating outdoors. There are so many choices – from simple to elaborate. Let us show you! Concern about water usage doesn’t mean having to sacrifice landscape beauty. 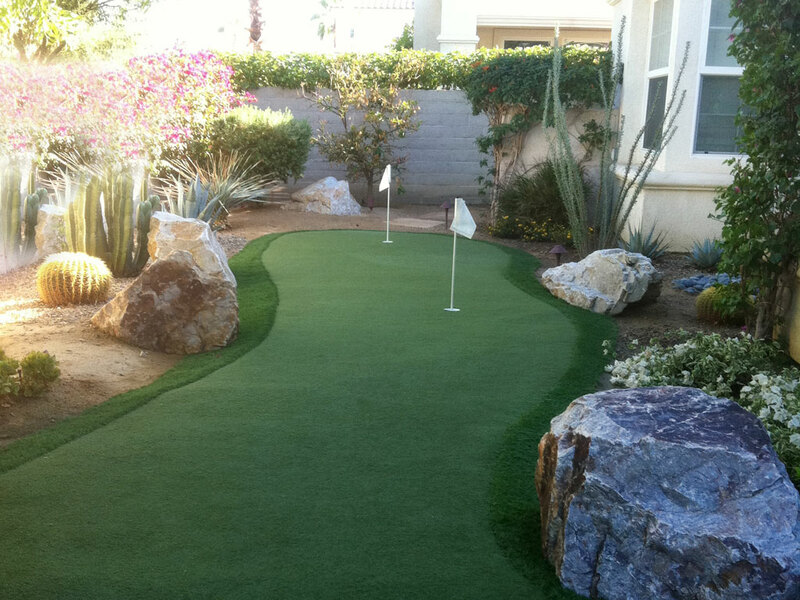 Let our designers show you how water wise plants can enhance your yard and help the environment. A variety of ground cover options are available to accent your plantings, creating a peaceful and climate-friendly outdoor space. Add some pizzaz to your outdoor living experience – shade by day and the twinkle of lights by night. 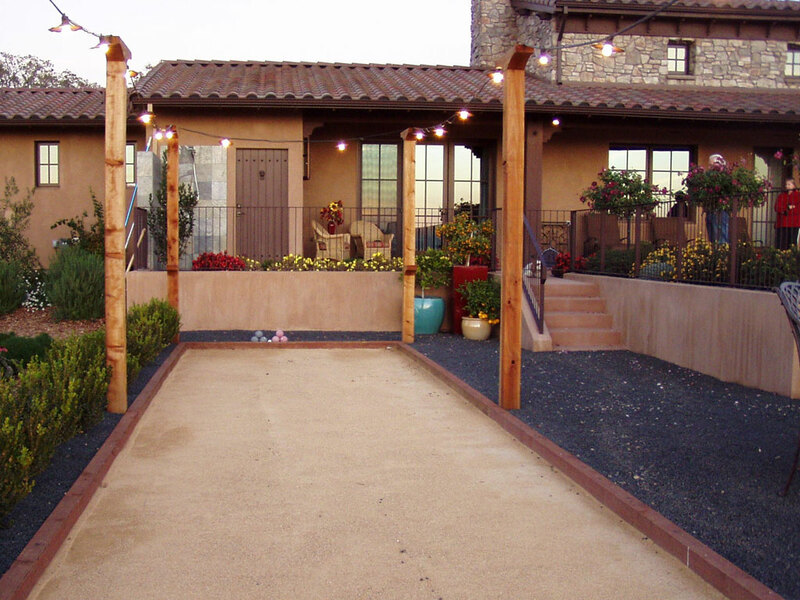 Creating a back yard “room” is possible with an arbor or pergola – or how about a bocce court? Our experienced design and installation team can create a special space for entertaining and relaxing. If you really want to take your outdoor living to the next level, consider some special lighting effects. Our designers are well versed in the state-of-the-art lighting systems on the market today. All designed to be run by remote from your cell phone, these products are the latest in landscape lighting technology.